Tequila Casa Dragones is pleased to announce the opening of Casa Dragones Tasting Room in our hometown of San Miguel de Allende, México. Guests can now make reservations to visit the six-seat destination for an intimate experience with Casa Dragones Joven and Casa Dragones Blanco. The design, architecture and acute attention to detail found throughout the Tasting Room showcases our ongoing commitment to Mexican craftsmanship as well our deep connection to our terroir. Co-Founder and CEO Bertha Gonzalez Nieves explained that the vision for Casa Dragones Tasting Room has always been “to express our love of the craft as a modern tequila producer and our commitment to showcasing Mexican craftsmanship.” In order to breathe life into that vision, Tequila Casa Dragones collaborated with the internationally acclaimed firm Meyer Davis, known for their made to measure approach to design and architecture, to create the intimate Tasting Room, which showcases Casa Dragones’ ongoing commitment to Mexican craftsmanship. 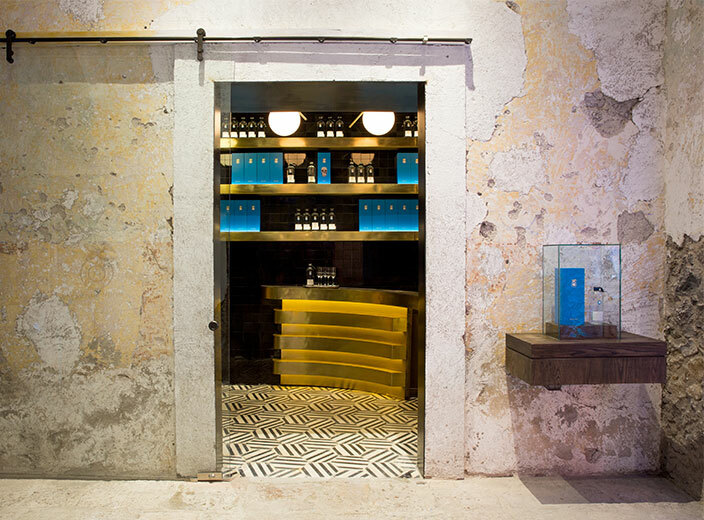 The inspiration for the Tasting Room stemmed from a deep-seated desire to provide guests a transportive, sensory experience of our sipping tequila and its terroir. The terroir has been incorporated into the space through the use of obsidian, the iconic Mexican stone found in the Casa Dragones agave fields. Esteemed Mexican designer Gloria Cortina lent her expertise in transforming natural obsidian rocks into the 4,000 tiles which Meyer Davis then used to adorn the walls and ceiling of the Tasting Room.